The opening track here, Callum Campbell, begins with a dramatic squall from a flurry of bowed strings, a pause, then a pattering drum figure against a plucked string groove. That sets the scene nicely for a rewarding, refreshing album. A jazz release with a string quartet at the core of the group evokes comparisons mainly with classical music and folk precedents - a reminder that jazz, for all its reputed spontaneity, still offers conventional sound combinations much of the time. 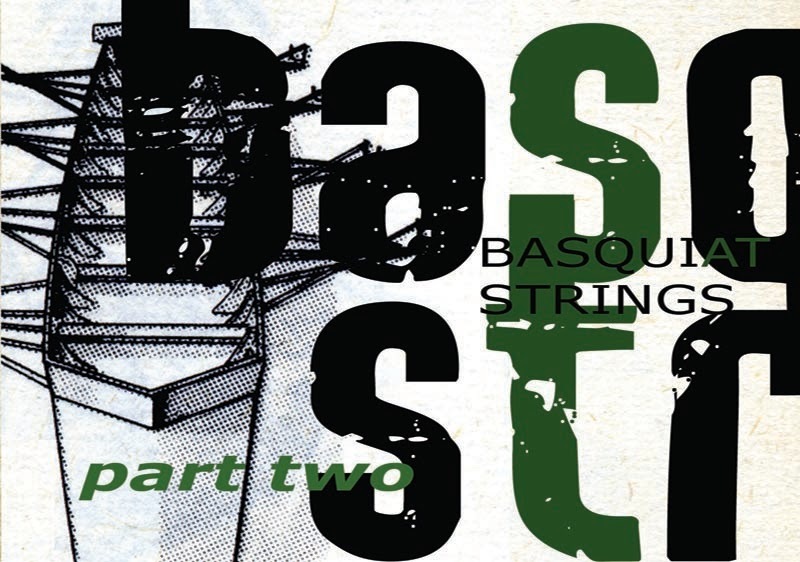 Listening to this second offering from cellist Ben Davis' Basquiat Strings project, this seems more surprising because so many jazz players strive for something like vocal expression, and strings - perhaps especially the cello - do that so well. Davis and his quartet - Emma Smith and Vicky Fifield on violins and Jennymay Logan on viola - do lots of other things well. The music here, all by Davis except for a languid, bluesy treatment of It Ain't Necessarily So at the close, developed over two years of playing and rehearsing after their Mercury prize-nominated debut in 2007 (not sure why the 2009 recording didn't surface until last year). It sounds carefully considered, arranged in some detail, with layers that emerge on repeated listening. There are slightly edgy harmonies, swooning - but never soupy - unison playing, and brief, dreamy interludes. All the string players deliver arresting solos, and there is insistent rhythmic drive when called for from bassist Richard Pryce and, on most tracks, that most musical of drummers Seb Rochford. The overall flavour is appealingly tart, and often darkly atmospheric. Hop-Scotch, for instance, one of the longer pieces, is more minatory, less jaunty than the title suggests. There may be a children's game going on here, but I think something very bad is about to happen. Most of the other offerings here are shorter, some vanishing as soon as they have established a mood. This lends variety, but leaves a feeling, perhaps, that the music would open out more in performance. The moment has passed, though, as the current version of Basquiat has shifted to a slimmer line-up of cello, bass, drums and acoustic guitar, and less meticulously arranged music. So although titled Part Two this is really a last look at Basquiat Mark 1. As such, it is a fine record of where this particular sound experiment got to, and a signpost to possibilities that others may explore.